Top 11 Dream University of India where every one want to get Study. Everyone has a dream to get Admission in Best college or University. Academics performance play an important role to get Enrolled in Best and prestigious College in India. Now, Think about a college with Best Campus, natural beauty, scenic views, etc. You will almost do anything to study in such Universities having Quality education, Superb Infrastructure and Tourist Attraction like Campuses. Indian Institute of Technology Guwahati is a public institution established by the Government of India, in Guwahati, Assam. It is also called as IIT Guwahati or IITG. The IIT Guwahati campus has 700 acres (2.8 km2) land. It has the River Brahmaputra on one side and hills and vast open spaces. IITG is officially recognized as an Institute of National Importance by government of India. 2. Forest Research Institute, Dehradun- The Forest Research Institute Established in 1906. It is an institute of the Indian Council of Forestry Research and Education and is a premier institution in the field of forestry research in India. This Forest Research Institute, Dehradun campus is set-up in a lush green estate spread over 450 hactares, with the outer Himalaya in the back side. 3. Bits Goa- BITS Goa Campus or BPGC is a premier technical and science institute for higher education. It is located in the Great Tourist destination, Goa. It was founded in 2004. 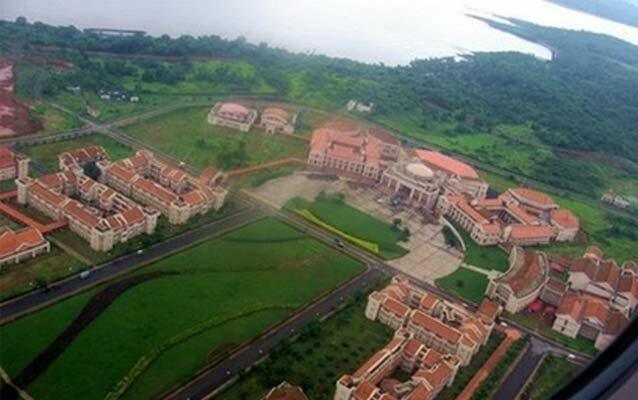 HolidayIQ.com, the popular holiday recommendation website, has listed the Goa campus of Birla Institute of Technology as No.7 in its list of beautiful campuses. It has its scenic beauty and panoramic view of picturesque surroundings encompassing the Zuari River, hillocks, waterways, forests and landscape. 4. 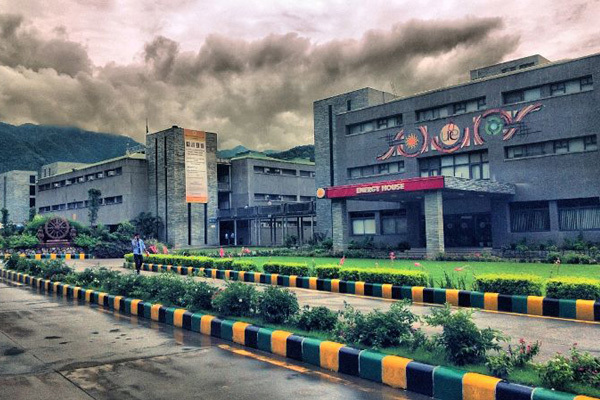 NIT Srinagar- It a nationally reputed technical and Engineering Institute, located in Hazratbal, Srinagar, Jammu and Kashmir, India. The NIT Srinagar casmpus located on western bank of the world heritage site, Dal Lake and surrounded by the scenic Himalayan ranges. 5. 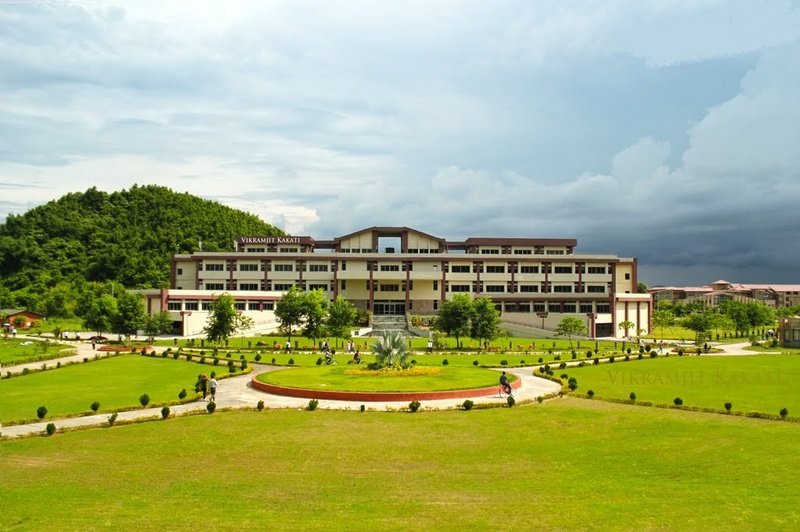 Jaypee University of Information Technology, Solan– Jaypee University of Information Technology is a state private university in Solan, Himachal Pradesh, India. The J. P. University of Information Technology university campus is located 3 kilometers off National Highway 22 (20 km from Shimla). 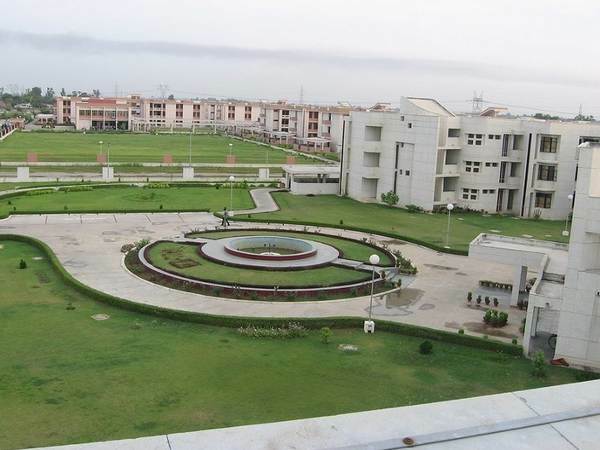 The campus is spread over 25 acres on the green slopes of Waknaghat. The town of Kasauli can be seen on one side on the hill. 6. IIT Kanpur— The Indian Institute of Technology Kanpur is a public research college located in Kanpur, Uttar Pradesh. It is commonly known as IIT Kanpur or IITK. IIT Kanpur campus is located on the Grand Trunk Road, 15 kilometres (9.3 mi) west of Kanpur City and measures close to 420 hectares (1,000 acres). 7. Goa Institute of Management- The Goa IoM campus at Sanquelim in Sattari is located on a sprawling 50 acre plot surrounded by the idolic foothills of the Western Ghats. 8. 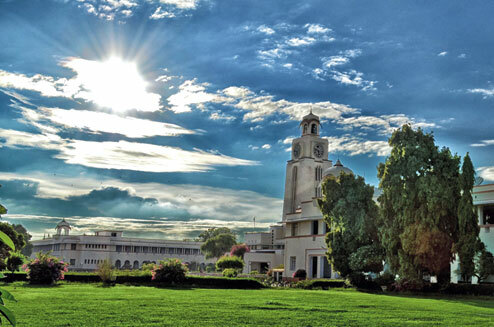 Bits pilani- Birla Institute of Technology & Science (BITS) is an Indian institute of higher education. BITS has a Birla Mandir dedicated to the goddess Saraswati, Sharda Peeth. The white marble temple is built on a 7-foot (2.1 m)-high foundation, with 70 pillars for support. It covers an area of 25,000 square feet. The Pilani campus has India’s first technological museum, the Birla Museum. 9. NIT Karnataka- The National Institute of Technology Karnataka (NITK) founded in 1960. It is a public engineering college at Surathkal, 17 kilometres north of Mangalore city. The 295 acres campus is located on National Highway by the shores of Arabian Sea, & has a private beach, including a lighthouse. 10. 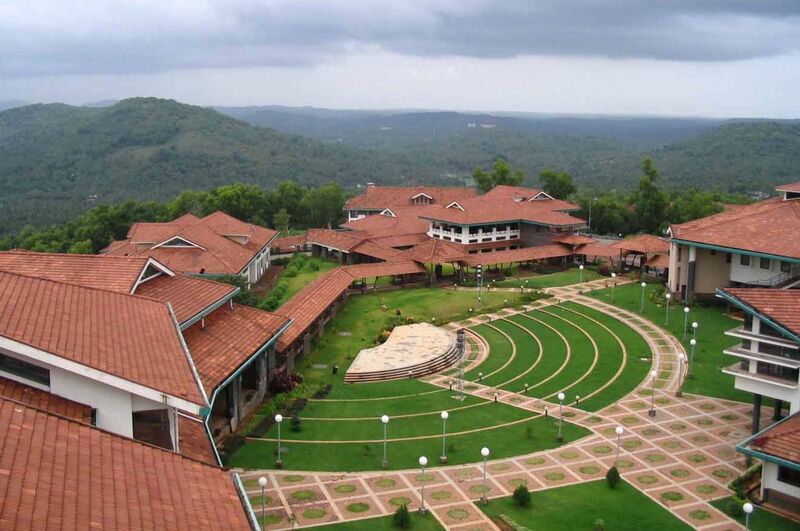 IIM Kozhikode- The Indian Institute of Management Kozhikode was founded in 1996. It is one of the 13 Indian Institutes of Management set up by Government of India. Kozhikode is the third largest city in Kerala. The campus Set up over 100 acres & spread across two hills which are part of the Western Ghats. of land. The campus has rain water harvesting. 11. University of Petroleum and Energy Studies, Bidholi- The UPES consists of two campuses Bidholi and Kandoli which are about 3 Km. 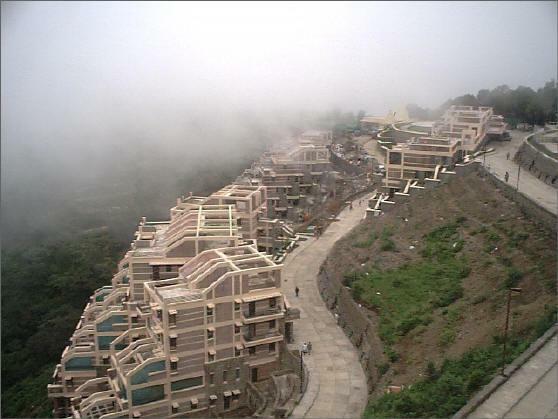 from each other, located at the foothills of Mussoorie range mountains. Campus is in mountain valley, the campus is untouched from the pollution. The above Campuses List are prepared by our Team, and we Belief in Best source to be made available to the students of India. Stay Connected with Results360.in and get all Results Details. Subscribe via email & Follow us on Facebook for the updates on Results & exam news.